Most-effective Sensing and Measurement Electronics That Still Provide Double the Required Accuracy of the Service Industry. 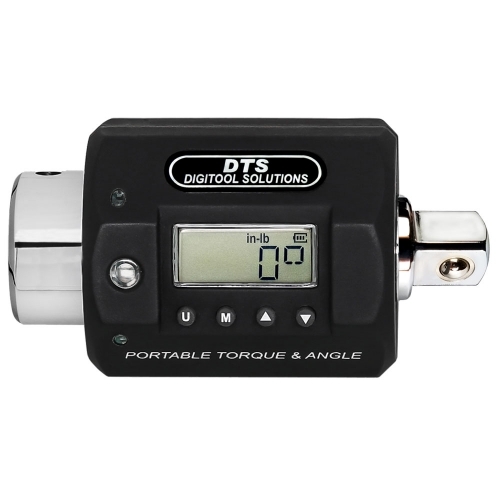 The “SPA” series of self-contained electronic torque and angle meter pro is built on a Digitool Solutions’ exclusive rotatable platform. These meters transform any wrench or non-impact driver into a high-precision torque and angle instrument. 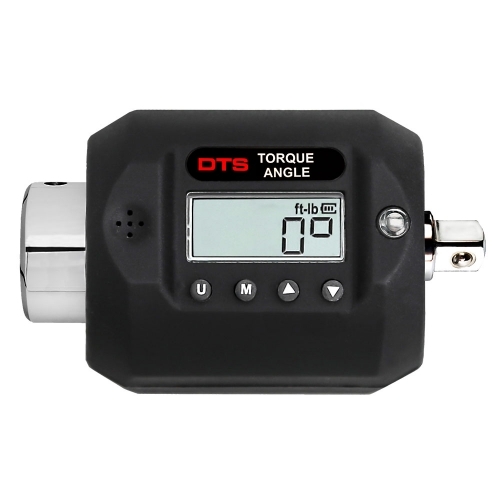 A high-contrast LCD display and simple push-button preset adjustment provide an intuitive user interface for torque and/or angle specification settings. Tri-colored visual indicators, an audible signal and a tactile vibration alert signal early warning and preset attainment of torque and angle application as well as over-load conditions. Built on a robust square-drive extension and installed between the tool and the work, these meters are free of hand-hold position error that is typical of common torque wrenches. Six models, with square-drives covering 2.5 ft-lb to 600 ft-lb in six ranges function in both CW and CCW directions while maintaining torque measurement accuracy within ±1% between 10% to 100% of full scale and angle measurement accuracy to +/-1° of rotation. The meter is useable down to 4% of full-scale torque setting while retaining +/-3% display accuracy. With extra-precision torque sensing and higher resolution analog-to digital conversion, the SPA is intended for critical industrial, aerospace, laboratory and quality control applications. The sturdy handle and nylon housing are robust enough for tough field use. A built-in rechargeable Li-Ion battery system provides 200-hours of continuous operation. A global 110-240VAC wall transformer is included. This meter, used with any wrench, breaker bar, hand driver or non-impacting power tool, is compliant with both ISO and ASME B107-28 (Type 1) Standards. A certificate of calibration with N.I.S.T. traceability can be provided if requested.